We have a few different kinds of sessions. Find the right one for you by taking our quiz. High-intensity group circuit training with up to 5 stations. Stations include one-on-one mitts in the ring, heavy bag work, variable cardio and strength & conditioning exercises. 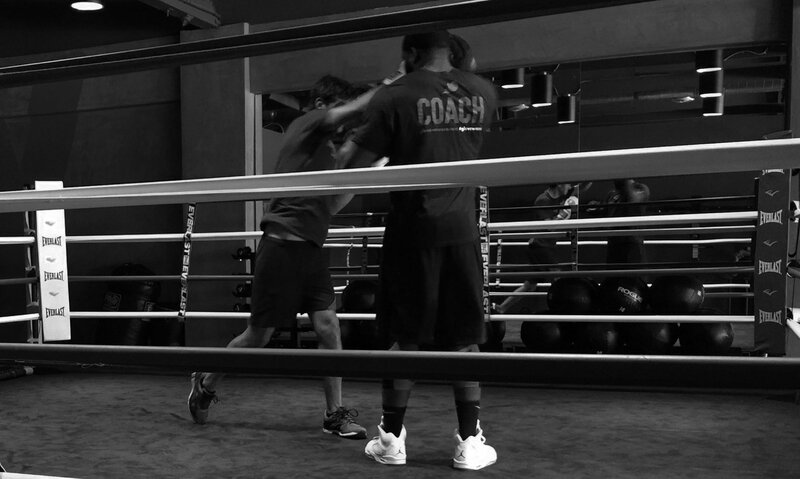 For a powerful thirty-five minutes, a Lightning session focuses mostly on mitt-work and precise boxing technique and will have you in-and-out of your workout quickly and with the precision and intensity you seek in a short time-frame. The greatest journeys begin with a single step. Learning what it takes to get in the ring with the seasoned contenders at Gloveworx is no different! This is a slower-paced session delivered in a small group of 2-6 people who are learning the ropes, just like you, with a coach who is focused on getting your technique just right. 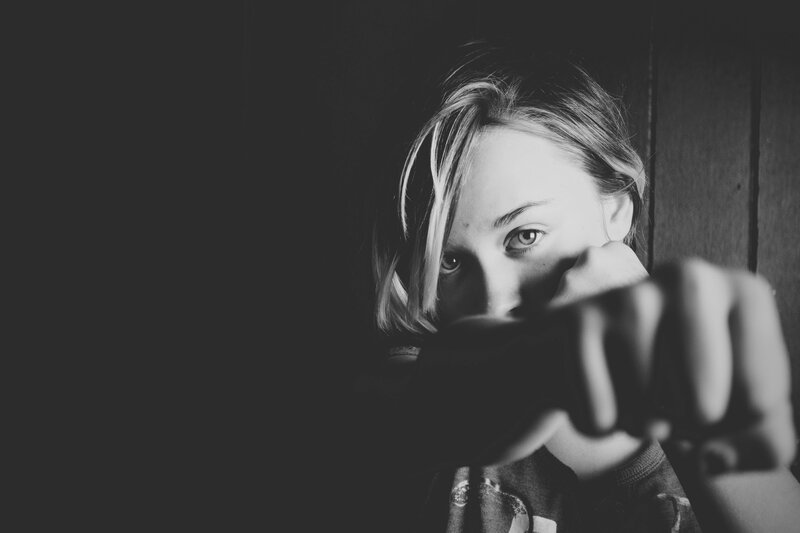 GWX 101 sessions will hone the basics of throwing punches and boxing footwork to prepare you to Boom with the best. A concentrated, high-energy training session with a small group of no more than six people. 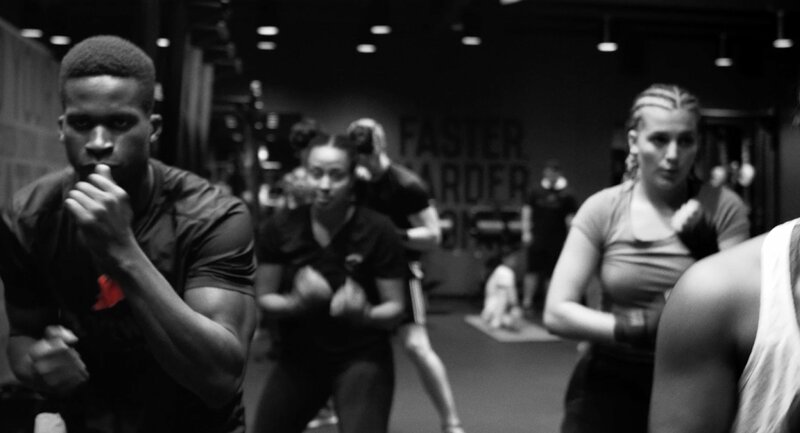 With a wide variety of boxing techniques and exercises tailored to the group’s needs and expertise of the coach, you’ll receive the personalized attention of a one-on-one, but you can split the tab with your friends. Boom Sessions will rapidly increase your skill set while giving you an athlete-level workout. A highly customized training session that includes mobility work, strength training, and full-body functional movements utilizing a variety of training tools. Blitz training sessions are scientifically designed to get the most from your body in the shortest amount of time. Each session will have up to 6 contenders training with 1 coach. In a focused and vigorous, one-hour session, you and a coach of your choice will create a personalized program to help you build strength, speed, power and agility. 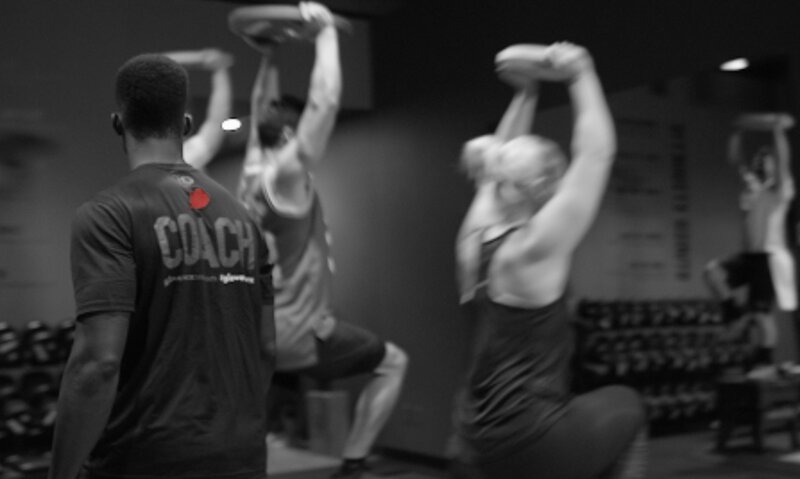 Your coach will guide you through a wide range of targeted regimens, keeping you focused and motivated in attaining your fitness goals. 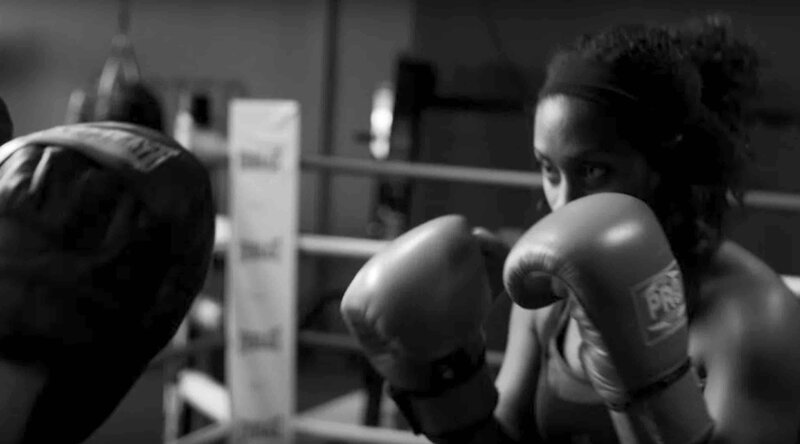 For a powerful thirty minutes, you and your coach will work towards your personalized fitness goals through a series of boxing-centric workouts. Is this your first Gloveworx session? To perform like an athlete, you’ll need to stay hydrated. Every session will have you sweating and smiling, so make sure to drink plenty of water throughout the day. We suggest arriving about 15 minutes early for your session. This will give you a chance to meet your coach and have time to get your hands wrapped. So as not to disrupt the group, you will not be allowed to join your session if you are more than 10 minutes late. When you arrive, grab a complimentary hand towel. Gloves and wraps are available to rent or purchase. If you’re a seasoned boxer feel free to bring your own. Water is available for purchase in the studio or we have water fountains available to refill your own.